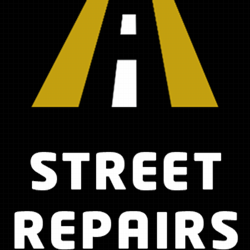 The City will see over $1.5 million in street repairs this year with the City’s share coming in at approximately $1.2 million. The City does recognize that not all streets can be done but has prioritized the list of streets that will be paved this year within the budget limitations. As part of the Ohio Department of Transportation (ODOT) Urban Paving Program, portions of Lorain Road/Route 10 will be paved. Lorain Road will be repaved from the Ohio Turnpike ramps to the Cuyahoga County line, including the I-480 ramps. The intersection of Lorain/Lear Nagle/Cook will be excluded as it was done last year as part of the Lear Nagle Road widening project. In addition, Lorain Road west of Route 83 to Alternate 83, and across Alternate 83 to Chestnut Ridge Road will be repaved. ODOT will be paying for 80% of the paving items, leaving the City’s share at approximately $307,463. This project is scheduled to begin in July or early August. Depending on weather conditions, the Service Department will begin paving as early as May the following streets at a total cost of approximately $600,000. When the schedule becomes available, you’ll find the latest updates here. In addition, the City will spend nearly $300,000 this year on full-depth concrete repairs primarily on Highland Drive and Denise Drive.